Volunteering is an opportunity to develop a new skill, expand your career options, be part of your community, gain a stronger sense of achievement, develop new interests, problem solve, improve programs, make important networking contacts, have new experiences, teach others, build self-confidence, gain leadership experience, express gratitude for the help you have received, experience working on a team, and meet a diverse range of people. Diana was encouraged to join WEST by one of her mentors, Karl Pansewicz, CEO & Founder of Snapcodr Inc. 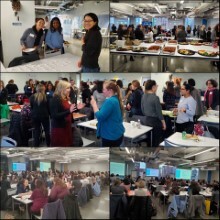 Initially interested in WEST for its focus on enterprise in STEM fields, the first WEST event that Diana attended made clear the value of the networking and camaraderie, as well as the opportunities for professional and personal development. She knew immediately that volunteering for WEST was the way to go and inquired about it that night. Writing blogs for WEST has been so rewarding, in terms of the people and their insights, that seems less like volunteer ‘work’ and more like ‘development.’ For these and other reasons, Diana is proud to introduce friends and colleagues to WEST. She does so frequently, as WEST’s mission is crucial and universally relevant. Diana Anderson has a BS from the University of Massachusetts in Plant, Soil and Insect Sciences, and an MS in Computer Information Systems from Boston University. Diana loved the theory and the math and the puzzles of ‘playing Tetris with data to design information’ as a data analyst, database developer and QA tester in fintech. However, in time, she realized that her translations between business users and developers were far more eloquent than her code could ever be. In 2018, Diana started EmpaTech Content with the goal of producing thoughtful, conversational content for B2B data science and enterprise information systems that goes deep on the tech while focusing on connecting with the humans on the other side of the screen. When not reading, writing for herself, or doing the nerd wordery for humans thing, Diana makes silly Android apps while re-re-watching BSG and Wynonna Earp, hikes with her dog and tries to see as much live music and art as possible. 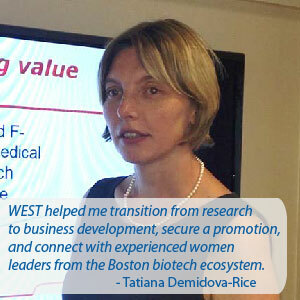 Tatiana joined WEST as a volunteer in 2014 as she was transitioning from her position in the lab into a role at the intersection of science and business. Tatiana works as a Manager of Research Contracts and Collaborations at Vertex Pharmaceuticals. Prior to joining Vertex Tatiana was a Project Manger at Boston Children's Technology Development Fund and a Business Development Manager at Harvard’s Office of Technology Development. There she was building and managing relations between investigators at Harvard Medical School and potential partners in the biotech/pharma industry. Earlier in her career, Tatiana was a Postdoctoral Scholar at Tufts University. 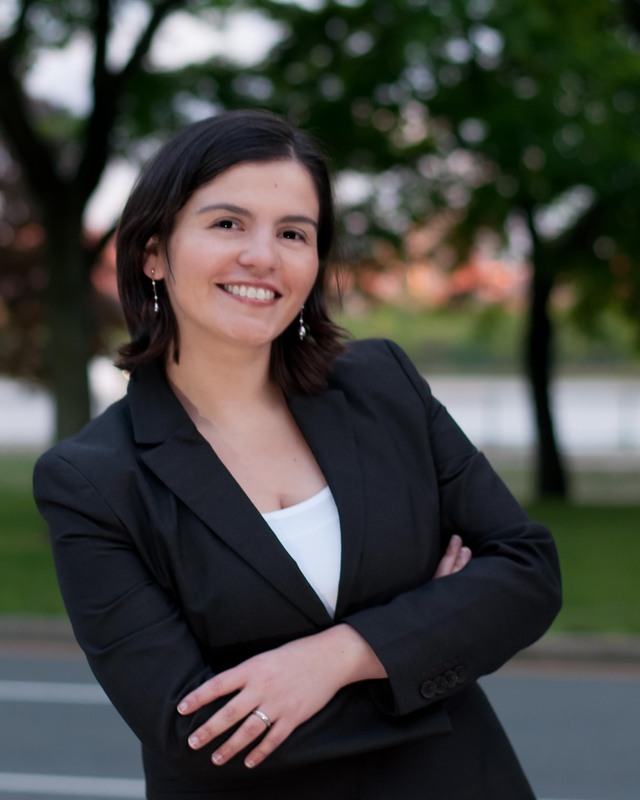 During her postdoctoral training Tatiana completed a technology transfer internship at the Office for Technology Licensing and Industry Collaboration at Tufts. Prior to that Tatiana worked as a postdoctoral fellow at Massachusetts General Hospital/Harvard Medical School. Tatiana earned her PhD from Tufts University and her bachelor degree in biology from Yaroslavl State University in Russia. Lee became a WEST member as a participant in a year long training program at the Whitehead institute during her post-doc. 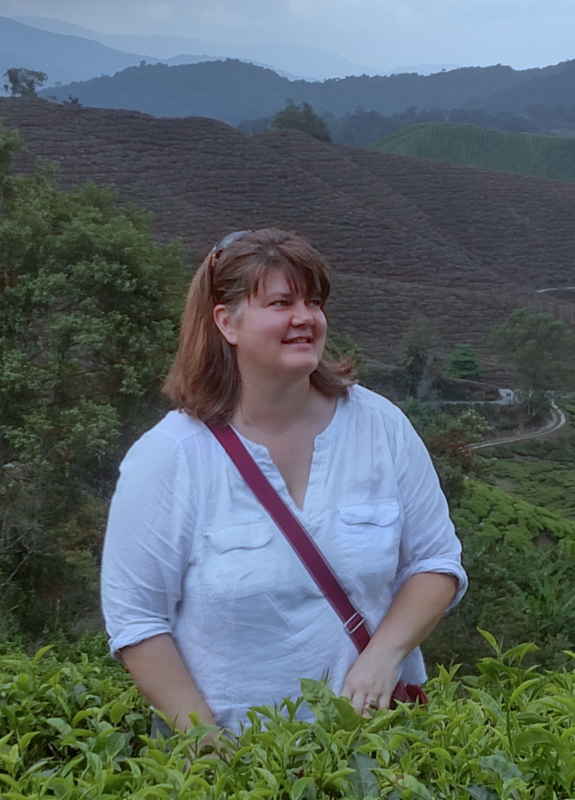 She became an active WEST volunteer after returning to Boston after a year of travel sabbatical. Lee N. Lawton, PhD is currently a Senior Scientist in the Dr. Margaret Shipp’s group at the Dana Farber Cancer Institute focused on genetic basis of immune invasion and associated therapeutic strategies in lymphoid malignancies. Dr. Lawton performed pre-graduate work at the Columbia Genome Center where she was involved in the coordination of mapping and sequencing data with other genome centers. She holds a PhD in Human Genetics from the University of Michigan where she studied the epigenetic stability of genomic imprinting and X-inactivation in the lab of Dr. David Burke. During her post-doctoral training with Dr. Rick Young at the Whitehead Institute for Biomedical Research she made seminal discoveries on the epigenetic regulation of transcriptional networks in hematopoiesis and leukemogenesis. Dr. Lawton led a program project on the Molecular Mechanisms of T-cell Leukemogenesis joint between the Young Lab and Dana Farber Cancer Institute researchers, led by Dr. Tom Look. Subsequently she joined a drug discovery start-up, Quanticel Pharmaceuticals, to develop novel “epigenetic” small molecule inhibitors currently in phase I trials. 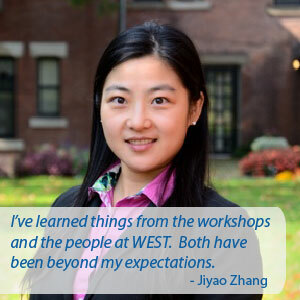 Jiyao is enthusiastic about giving her knowledge, skills & time back to society. She became a volunteer of WEST in 2017 and helped more than 5 workshops and participated in marketing committee meetings and discussions. She works hard to make WEST known by her friends, colleagues and university and she will continue doing that in the future! 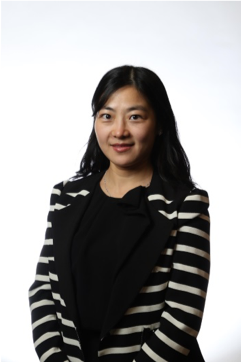 Jiyao (Ella) Zhang, a clinical research fellow at Boston University School of Medicine, is interested in novel therapies for cardiovascular disease prevention in diabetic population. 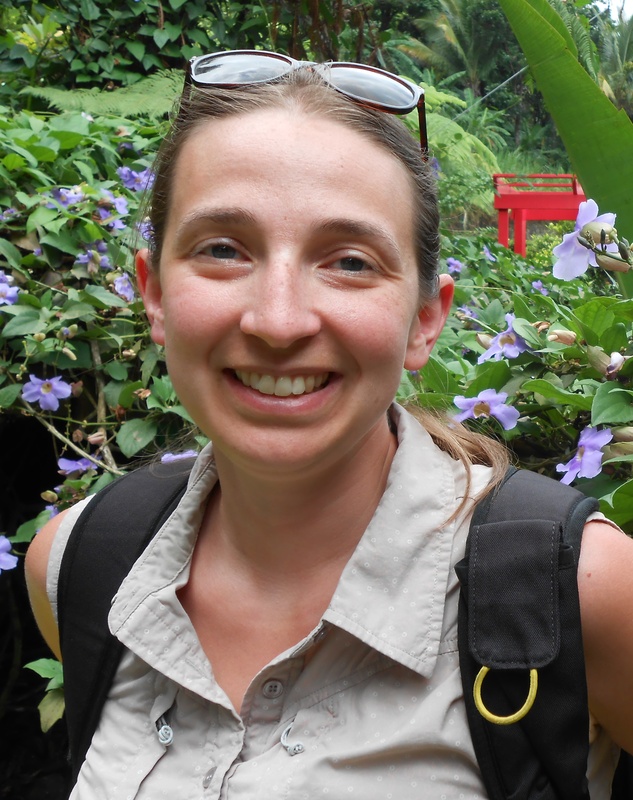 Her current work focuses on effects of dietary intervention, especially chemicals mainly found from plants, on endothelial function, vascular functions, and arterial stiffness. Her work was awarded and recognized by various reginal and international conferences. She is also interested in mitochondria-targeted antioxidant and aims to advance knowledge of this type of supplementation on diabetic vasculature health. Prior to BU, Jiyao got her PhD in Molecular Nutrition at Cornell University. She used animal models to investigate fatty acid metabolism and signaling pathways in chronic diseases, including breast cancer, neurodegeneration and obesity. She also conducted clinical trials, discovered and validated a novel biomarker-an aberrantly synthesized fatty acid only existing in human breast cancer tissue. Elise was introduced to WEST through an ex-WEST member when she moved to Boston in 2014. It was her first exposure to workshops on soft skills, which answered many questions in her professional journey. She attended a few WEST workshops and started volunteering frequently the next year. It took her 2-3 times of listening to the same workshop topics to realize that to develop soft skills, she had to change her fundamental mind set and to acquire new social insights into human psychology. She found volunteering at WEST offered a platform to gain advice, to acquire new skills, and to practice what she learned in workshops. 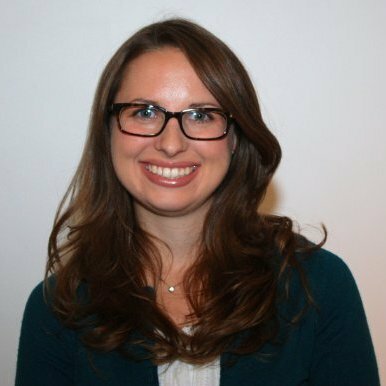 Elise has a BA in Molecular Cell Biology, BS in Chemical Engineering from University of California, Berkeley, and a PhD in Chemical Engineering from University of Wisconsin, Madison. Her academic background interfaced stem cell differentiation, polymers science, and liquid crystals. She is an interdisciplinary engineer who pursues diverse challenges and learning opportunities from small molecule to biologics across different functional departments in pharmaceutical companies. She is currently a process development engineer at Shire Pharmaceuticals. In her free time, she enjoys jogging, exercising, learning German, traveling, hiking, and catching up with friends. Anna was initially encouraged to attend one of the WEST panel discussions by Laurence Reid, CEO of Warp Drive along with some of her colleagues. She was thrilled to get to know so many amazingly kind, down to earth, intelligent and determined women in science and many other fields. 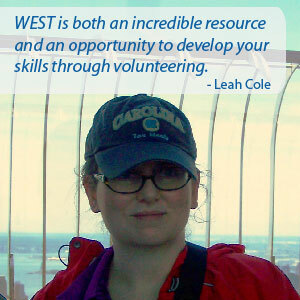 She learned a lot from WEST and eventually decided to contribute as a volunteer. Anna volunteered for most of the events and book clubs of 2016. She met her mentor and has made many friends through the WEST events. 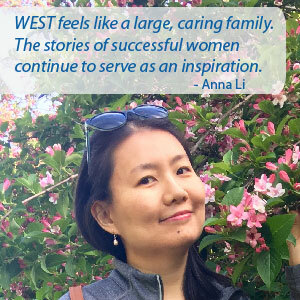 WEST feels like a large, caring family for Anna and all of the continuous women’s success stories will keep her inspired far into her future. 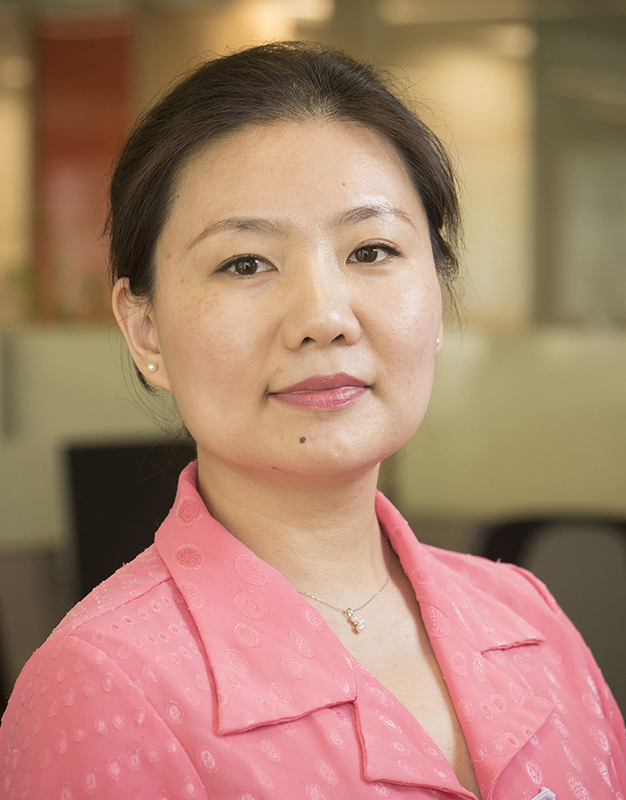 Dr. Anna Li received her Ph.D. in Plant Pathology in 2007 and went on to become an associate professor of Shandong agricultural University in China. Due to her academic achievements in extreme environments fungi she was offered a visiting scholar position with Harvard University where she spent eighteen months conducting research with the Organismal and Evolutionary Biology Department. Currently Anna is a microbiologist at Warp Drive Bio where she is a key player in the genome mining of novel antibiotics which has a major therapeutic potential for human medicine. She is proud and passionate about her career which can bring hope, cures and new life to patients and their families all over the globe. Anne joined WEST after attending a networking event in 2011. She had just moved to the Boston area from Cape Cod and was looking to transition from academia to industry. After a WEST workshop about value propositions, she decided that starting her own company was the best thing to do. In 2013, Anne started The Data Detektiv, a data management company. The shift from academia to industry was difficult, but the programming at WEST helped her to gain the knowledge and confidence she needed to move forward. 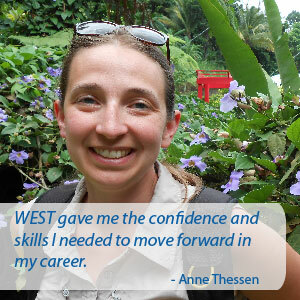 Anne began volunteering at WEST events in order to contribute to an organization that had helped her career through a difficult transition and to develop a network of intelligent and driven women dedicated to STEM. Anne has a BS in Biology and a PhD in oceanography from the University of Maryland. 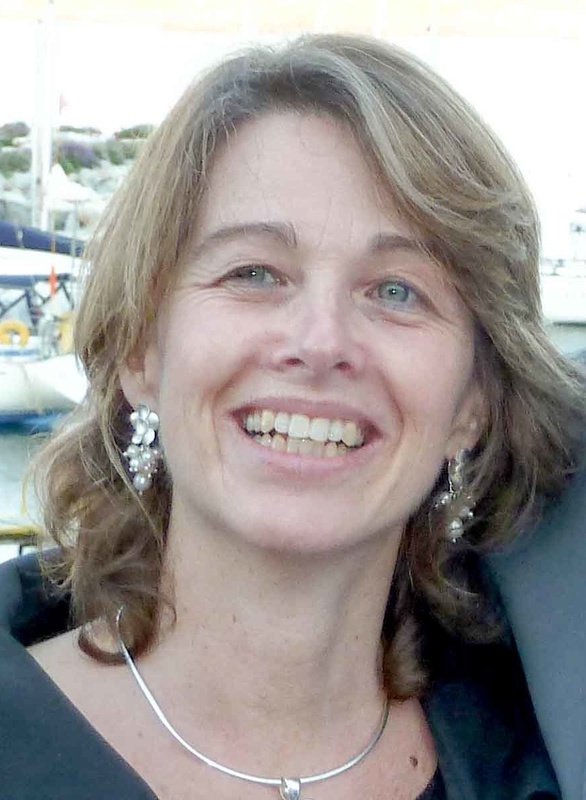 She worked on biodiversity informatics and data sharing at the Marine Biological Laboratory in Woods Hole. Anne made the shift from academia to industry in 2013 and is pioneering an alternative career as an independent scientist through her company and her affiliation with the Ronin Institute for Independent Scholarship. She is passionate about science, helping other academics transition into industry, and animal rescue. Jackie first discovered WEST through the Stay in MA program, sponsored by Flybridge Capital. They granted her a scholarship that allowed her to attend her first WEST event, and it left a huge impact on her. She attended "Career Possiblities: A Speed Networking Night" and learned about careers outside of academia that interested her, but more importantly, she began to understand the paths that people had taken to successfully transition from the bench to a business setting. After attending several WEST events, she chose to volunteer because she thought that the events were worthwhile and she wanted to support the organization. Jackie is a PhD candidate in the neuroscience department at Tufts University and her scientific interest is in glial cells. Glia, which is Greek for "glue", are brain cells that have long been thought to be inert and serve supportive roles. However, a growing body of evidence suggests that these cells are critically important for modifying how neurons communicate with each other. She is developing a technique to silence one form of glial communication, the vesicular release of gliotransmitters. In addition to her graduate studies, she leads the Tufts Biomedical Business Club. The mission of the club is to cultivate business leaders in the health and life sciences. Over the last four years, she has organized numerous career events, seminars and panel discussions aimed at increasing business literacy and career development opportunities for graduate students at Tufts. 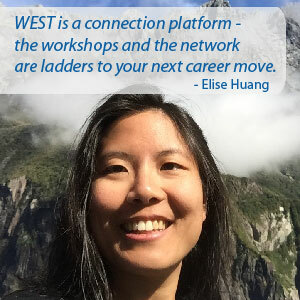 During her postdoc, Elissa started attending WEST events to help her explore diverse career opportunities. The events she attended were instrumental in helping her realize her strengths and desires. She found the WEST environment to be very welcoming and values the relationships she has made with several fellow members. Elissa received a BS in chemistry from the University of Wisconsin - Madison and then earned her Ph.D in chemistry from Yale University. She completed postdoctoral work at Harvard Medical School and then took a position at Moderna Therapeutics. In her free time she likes to run, swim and travel. In January 2013, Dr. Gwen Acton, CEO of Vivo Group, introduced Patty to her first WEST event where Gwen was moderating the panel for WEST’s Annual Effective Transition from Academia to Industry event. At that time Patty was the PI of her laboratory at Boston Children’s Hospital and was considering a shift in her career direction. The energy, intelligence, knowledge, determination, and success of all the women in the panel were extremely inspirational. Subsequently, Patty became a volunteer at WEST and attended most of WEST’s events in 2014. Coming from a different culture, Patty found WEST particularly inspiring and empowering, through the example of so many outstanding women in leadership positions who shared their experiences and paths to success. She also discovered new friends and was exposed to many unique learning opportunities. Patty Purcell received a BS/MS in Biochemistry at the Catholic University of Chile, her native country, and then earned a PhD in Genetics from Harvard. She subsequently did postdoctoral training at Brigham and Women’s Hospital, The Forsyth Institute, and Harvard Medical School. During her training at Forsyth she pioneered molecular studies of temporomandibular joint development, which led to a number of scientific publications and NIH funding. She is passionate about science as well as advising, mentoring and helping students to pursue their career development. 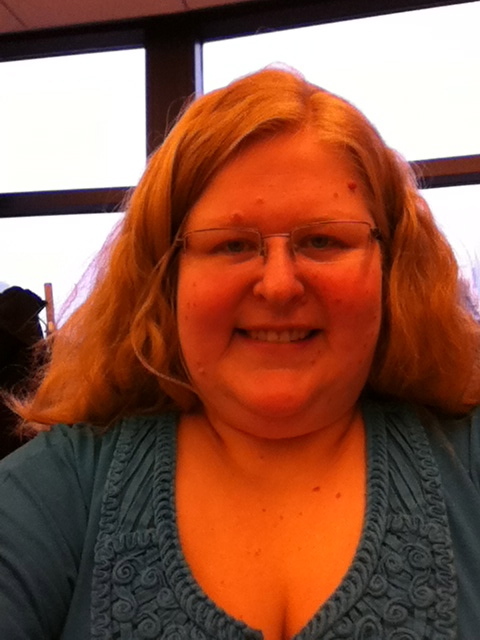 Jenny joined WEST after attending a panel discussion about transitioning from academics to industry. After this great event, she attended career development workshops and has been inspired by the different speakers. 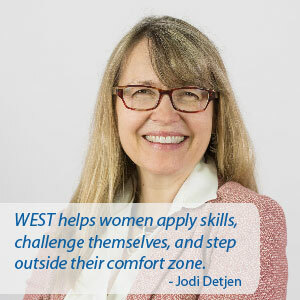 Success in STEM careers is challenging for women and WEST provides a great community to help support talented women and help them achieve their goals. Since Jenny has been enriched by her experience with WEST she started volunteering to help give back to others women in STEM careers. 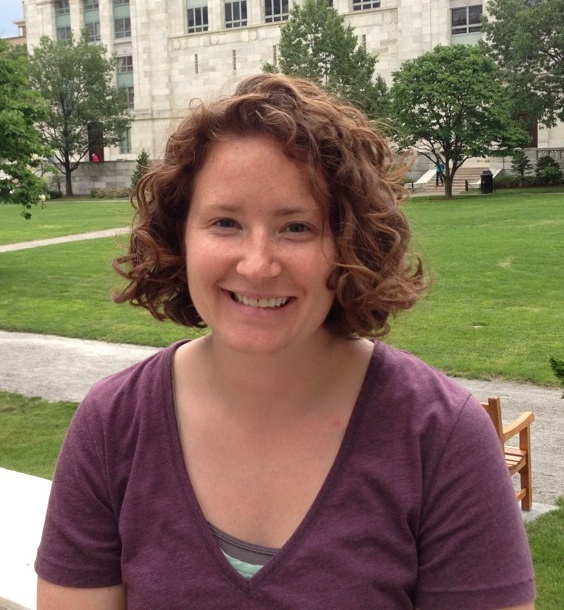 Jenny is currently a Senior Postdoctoral Associate at Tufts University School of Medicine where she is working to determine the mechanism of action of a class of small molecule inhibitors, which are relevant to many different diseases involving cell death and inflammation. She received her PhD in Molecular and Cellular Biology from the University of Massachusetts Amherst in 2009. As a graduate student, Jenny performed biochemical and biophysical research on a bacterial translocase and she was actively involved in the Chemistry-Biology Interface program as a trainee and student leader. Prior to graduate school, she conducted molecular biology research at Children’s Hospital Boston and Brigham and Women’s Hospital to understand the role of a novel domain found in transcription factors. 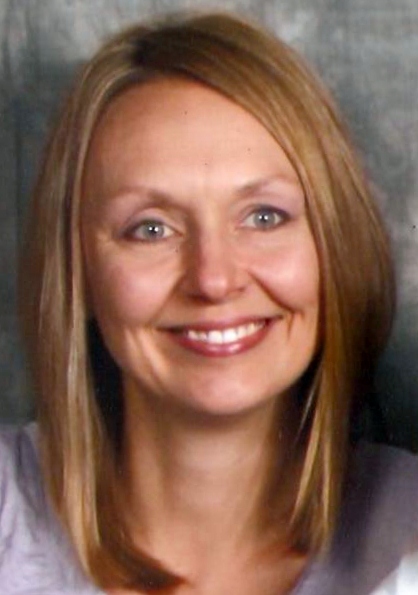 She received her BS in Cell Biology from the University of Minnesota Duluth where she began research career using cell biology techniques to research metastatic breast cancer. In addition to her volunteer activities with WEST, Jenny also volunteers at the Boston Marathon and other half marathon races. Volunteering for WEST came as quite a surprise when my wife asked me if I would be willing to take some pictures for the organization. Having some previous experience photographing events, this was the perfect opportunity for me to blend my two passions, science and photography. Witnessing how passionate and committed members of WEST are in helping other women to advance in their careers is inspiring, as it should be for everyone. Discovering new things was always something that drew Ricardo's curiosity so studying sciences came naturally. He graduated with a PhD in Biological Sciences from the University of Concepcion, in his native Chile. Then, he moved to the states and got postdoctoral training at UMass Medical School, where his work focused on understanding the cell cycle control in normal, cancer and embryonic stem cells. 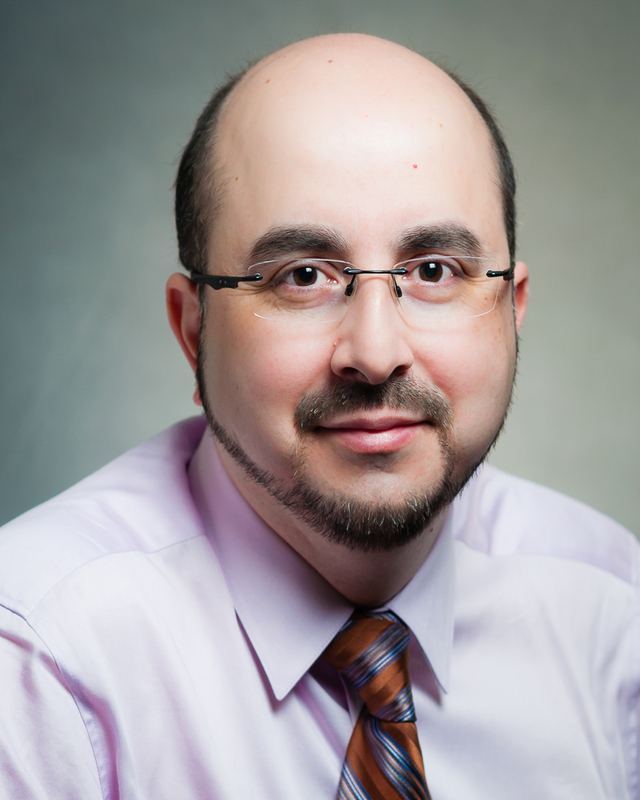 Currently, Ricardo is a Scientist at Agios Pharmaceuticals, a company that focuses on cancer metabolism. Working in the exploratory team, he hopes to make a difference in patients’ lives helping to develop innovative medicines. Photography was always a passion for Ricardo, but it took a big leap when he had the opportunity to take a semester of Photography in the School of Arts when he was undergrad (Biochemistry) student. It was quite a revealing experience for him to learn the basics of photography and how to process his own film and paper in a dark room. 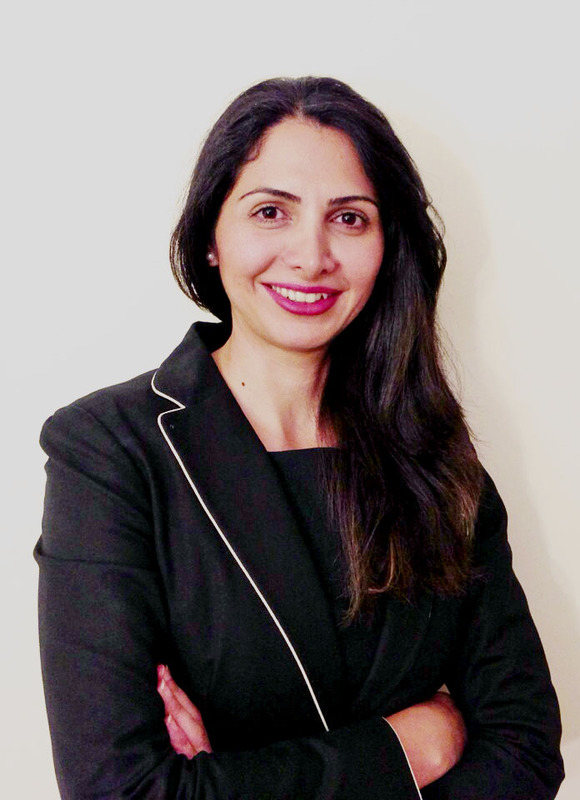 Parnian Boloori Zadeh is a recent Ph.D. graduate from Northeastern University. Before starting graduate school, she received her B.Sc. in Mechanical Engineering, M.S. in Architecture and worked at a petrochemical company. Soon after starting at the company as a Mechanical Engineer, she was promoted to a lead engineer position. Being passionate about learning and helping improve people’s lives, she sought opportunities to change her career path and to obtain a terminal degree in Mechanical Engineering with a minor in Bioengineering. To obtain the best possible training in this field, she moved to the United States of America in 2007. In the past 6 years, she has attended many career development events organized by different organizations, where she learned about WEST. 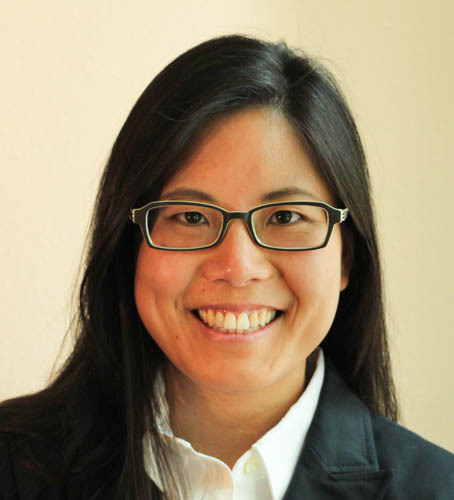 Unee states the "clues" led her to WEST, as she sought to collaborate with women who were the face of STEM to grow, inspire and help close gaps that exist for women pursuing the Sciences and Technology careers. It was through a research project 2009-2011 that she surveyed several gaps in the technology sector of financial services. Curiosity peaked her interest and entreprenuerial spirit to seek answers, solutions and common ground to understand why many women travel along the lone journey towards success in STEM careers. She joined WEST to help make a difference and impact the lives she encounters in a big way. 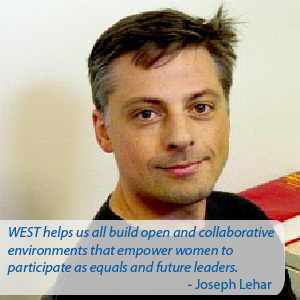 By helping WEST it allows the organization to get its gift out in a bigger way, which helps close gaps and inspire others to be confident, creative and entrepreneurial. Unee has a great deal of experience in business development and sales management. She has been Managing Director at Asset Capital Solutions, Inc. for the last three years. She is responsible for Research, Innovation, Visioning, Core Business Modeling and Platform Development, Technology and Logistics. Asset Capital Solutions, Inc. is in its research stage moving towards the seed stage. Unee is currently pursuing expanding her expertise through MIT Sloan School of Management under Fellows. Unee’s prior work experience includes being a Branch Manager for several national banks over the span of seven years. 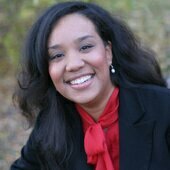 She started her career with AT&T in small business development selling IT and data products to small businesses. Upon being ranked in the top 5% within the organization, she moved into management. Over the span of her career in business development and sales management, she has been in top 1-5% of every organization she joined. She has owned and managed her own businesses. She enjoys her day to day efforts of working as an entrepreneur in real estate and the financial markets. Additionally, she spends time helping non-profits, including WEST. Robyn joined WEST when she began exploring careers outside of academia as a way to meet new people and to participate in their career development workshops. The inspiring and motivating event speakers moved Robyn to become a volunteer because she wanted to help strengthen the WEST community and reach out to other women looking for career advice and advancement. Through this experience she has had the pleasure of working with amazingly talented and supportive women while learning the importance of leading and working within a team to accomplish project goals. Volunteering with WEST taught Robyn to recognize her value and to embrace the challenge of new opportunities. Robyn is currently a Postdoctoral Associate at the University of Massachusetts Medical School where she is involved in multiple research projects investigating infectious disease, immunology and vaccine development. In addition to being an active volunteer with WEST, Robyn also helps with SHOW (Science Shaping Our World) events and is Co-founder and Director of Industry Outreach for the Industry Exploration (IndEx) Program at the University of Massachusetts Medical School. 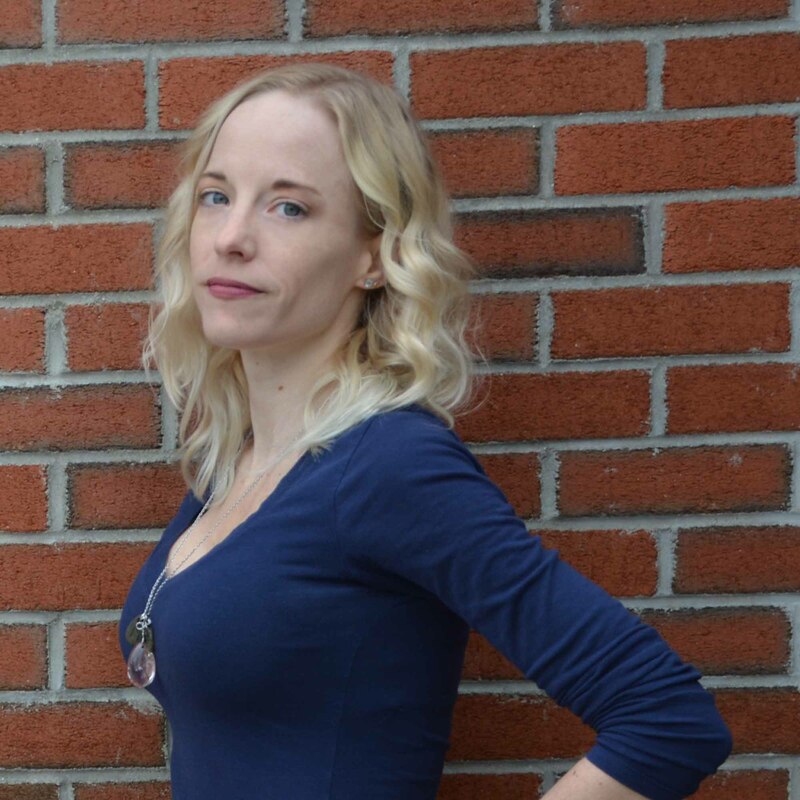 Prior to her postdoctoral position, Robyn completed her Ph.D. in Biomedical Science in 2010 at UMass Medical School where she examined host-pathogen interactions and received her B.A. in Biology from the College of Wooster. As a graduate student Robyn interned in the University’s Technology Transfer Office preparing and marketing innovative technologies developed at UMass Medical School to gain a better understanding of the commercial interest in scientific innovations. Giulia joined WEST looking for professional development workshops that would help her career transition. When she became aware of the important role WEST is providing in developing women as leaders in science and technology, she decided to volunteer as a Grant Writer. Giulia is now chairing the WEST grant writing committee whose goal is to obtain grants that can fund the maintenance of specific activities provided by WEST and constitute a financial basis for the growth of the organization. Through this activity, not only does she "give back" to an organization whose mission she strongly believes in, but she has also acquired much more leadership skills. Giulia views her volunteering as her "professional gym." 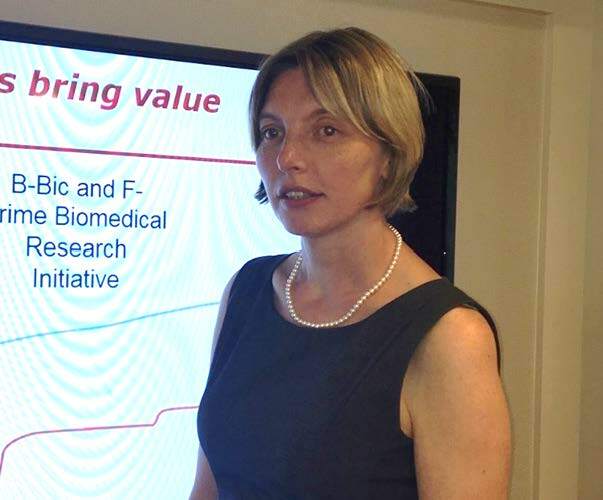 Giulia has been working in biomedical research within academic hospitals for the past 18 years. She is passionate about basic, translational, and clinical research leading to continuous improvement of patient’s prognosis. Currently, Giulia is a Principal Investigator of a Laboratory in the Brain Tumor Research Center at Massachusetts General Hospital (MGH) where she is developing therapeutic and imaging strategies for the treatment of tumors in the central and peripheral nervous system. Prior to that she performed biomedical research as a: 1) Visiting Scientist at Ohio State University (Columbus OH, 2004-2005), 2)Post-Doctoral Fellow at Massachusetts General Hospital (Boston MA, 2001-2005), and Doctoral Student at Emory University (Atlanta GA,1998-2001) and Lausanne State Hospital (Lausanne CH, 1996-1998). Giulia received a Ph.D. in Tumor Biology at the University of Lausanne (CH, 2001) and a joint MS/BS degree in Molecular Biology at the University of Pavia (Italy, 1996). Yuly was referred by a classmate who asked her to attend the annual Alternative Careers event, she didn’t know it was the beginning of a exciting adventure. She feels WEST has given her a community of friendly and supportive people who have shown her a bright, energetic, and exciting face of non-academic science, the so-called “dark side.” Yuly joined WEST because she loves its mission of inspiring women to achieve entrepreneurial success in science and technology. 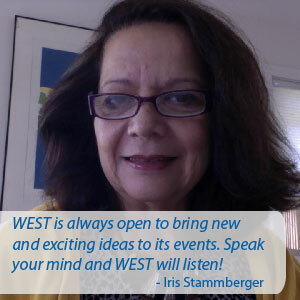 She has witnessed many “WEST moments”; the point where individuals share their ideas, then their minds click as they identify with one another, and later you see that the room is overflowing with happy faces. It is awesome to be a part of that experience, she says. Yuly Fuentes-Medel graduated with a PhD in biomedical sciences from the University of Massachusetts Medical School, USA, and began a postdoctoral training at the MIT Sloan School under the supervision of Professors Fiona Murray and Pierre Azoulay to validate novel metrics to supplement the traditional funding allocation approaches inherited from the post-World War II era and used by a wide variety of grant-making institutions in both the public sector and in private philanthropy. Yuly is energetically involved in fostering scientific interest and careers diversity in the sciences as a current intern for Propel Careers. 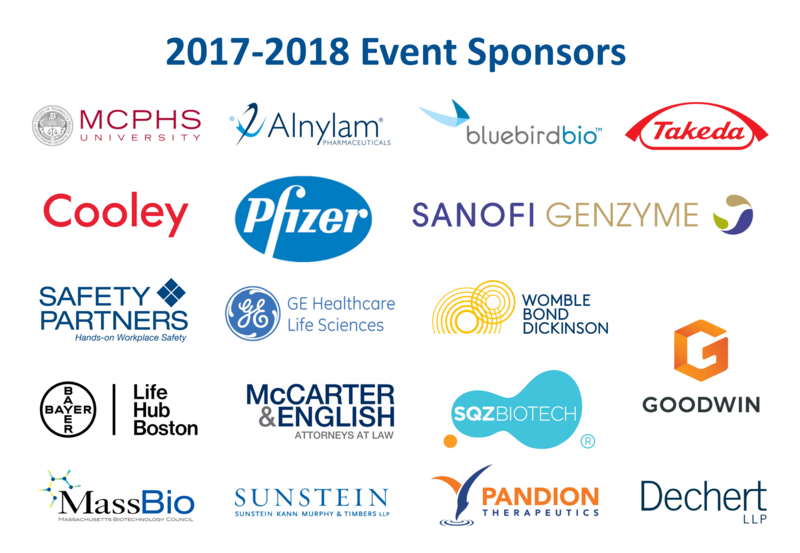 One of her major undertakings is to create a connection between Propel Careers and the Universities/Biotech companies located in MA Area. 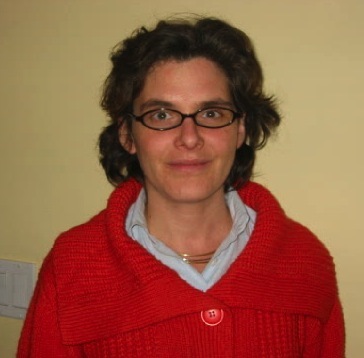 During her time as a Ph.D. student, she pioneered the co-organization of the International workshop called “Small Brains Big Ideas” Biomedical Insights from Invertebrate Neuroscience Research, held in Santiago, Chile, in 2010. This initiative successfully trained so far, sixty Latin-American students in the application of genetic model systems and now is being planned every two years. Trained as a biochemist at University of Concepcion in her native Chile, she has a passion for science development and innovation.